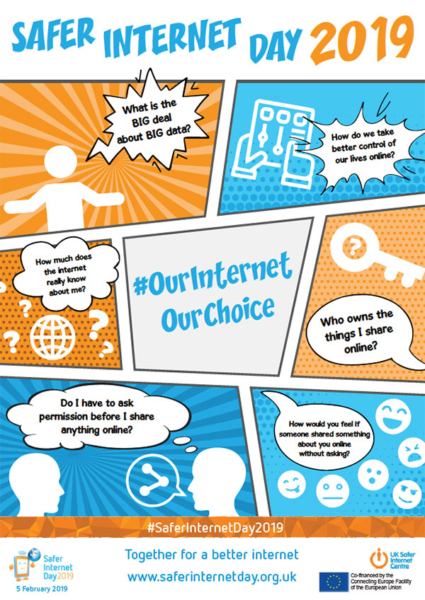 Safer Internet Day is on Tuesday 5th February and this year’s theme is ‘together for a better internet’. Safer Internet Day is celebrated globally in February each year to promote the safe and positive use of digital technology for children and young people and inspire a national conversation. As usual, The East Manchester Academy will be celebrating and promoting this with our young people. We’re really looking forward to Safer Internet Day and have a range of activities planned. During assemblies student will be learning about the importance of digital literacy and in lessons we’ll be developing our awareness of social media and how companies use our data so we can make better decisions online. Learn more about Safer Internet Day on the UK Safer Internet Centre website.